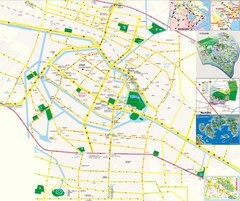 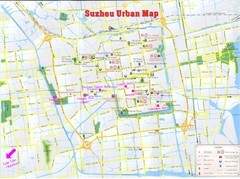 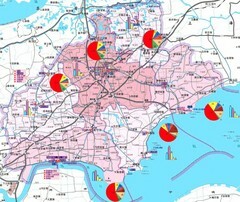 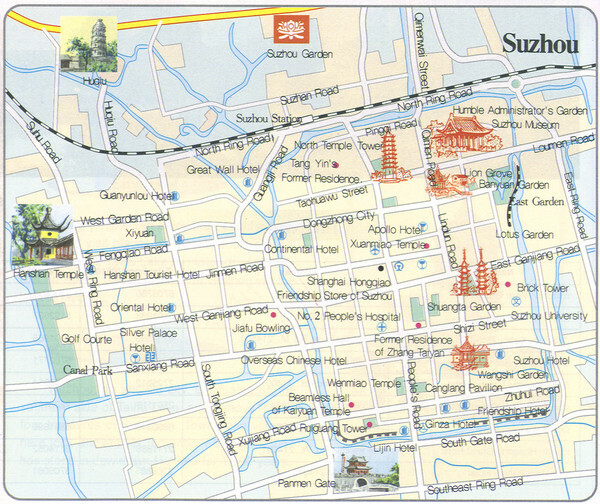 Map of Suzhou with the main streets, tourist attractions and amenities identified with pictures. 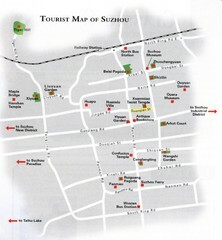 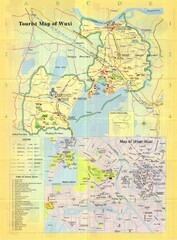 Tourist map of city of Suzhou, China. 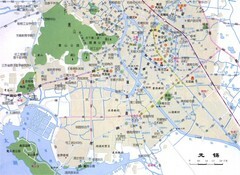 Shows temples and other points of interest.